From the former NASCAR champion and current Fox Sports announcer, an intimate account of one of the most dramatic and tragic days in the history of NASCAR: the 2001 Daytona 500—the day that racing legend Dale Earnhardt, Sr. died. 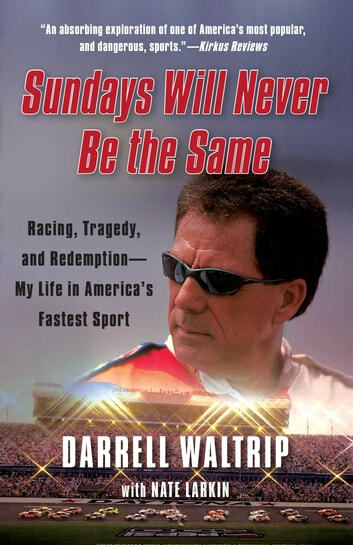 In Sundays Will Never Be the Same, former NASCAR champion and current FOX Sports racing analyst Darrell Waltrip provides an intimate account of one of the most dramatic and tragic days in the history of NASCAR: the 2001 Daytona 500—the day that racing legend Dale Earnhardt Sr. died. The sudden death of Earnhardt on the final lap of the 2001 Daytona 500 was a traumatic loss for the entire NASCAR family, and few were affected more deeply than Darrell Waltrip. During the course of their tumultuous thirty-year association, Dale and Darrell had been friends, then “frenemies,” and finally friends again. Darrell takes us through the fascinating history of racing in Daytona, offering glimpses of some of the sport’s most colorful characters. He recounts the highs and lows of his relationship with Earnhardt through the twin arcs of their overlapping careers, and concludes with a heart-wrenching insider account of that pivotal weekend in Daytona.